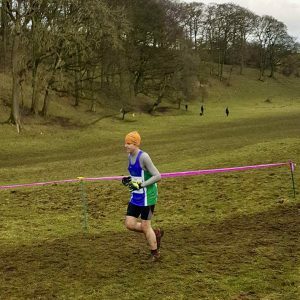 Brutal and brilliant – two adjectives for the North East Harrier League cross-country race at Thornley Hall Farm. All right, brutal may be overstating it a bit, but “quite hard” doesn’t alliterate and isn’t as catchy. This race was a first for me in many ways. Having joined Striders a couple of months ago, it was my first race as a Strider, my first outing in a Club vest and my first cross-country race. I’ve done plenty of road and trail races before but this was new territory. 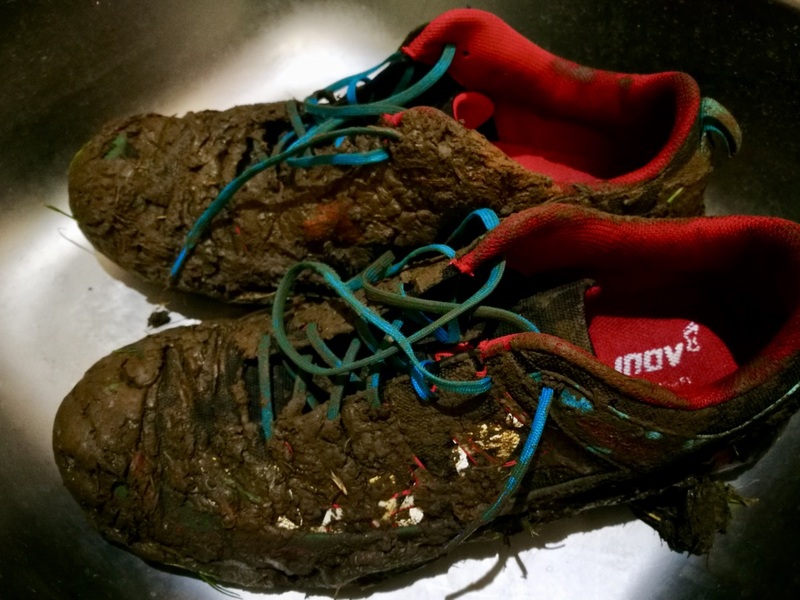 Cross country was always the punishment, sorry, PE lesson that many of us dreaded at school. 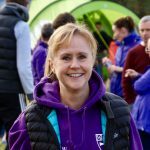 Now I’m much older and a little wiser, I reckon that if it’s good enough for current and past pros (Mo Farah, Paula Radcliffe, Charlie Spedding, Julian Goater etc. etc. ), it’s got to be good for all of us. I’d arranged to travel with Anna Basu and Roz Layton and was grateful to share the short journey from Durham with them. Parking wasn’t the trauma I’d feared and we arrived with plenty of time to amble along to the top of the race field and find the tent. I was realistic about my expectations going into this race. I looked at the results from the previous year and had a good idea of where I would likely come out even if it was a road event and it was unlikely I’d be contributing to the scoring. Regardless, I went out determined to race as hard as I could regardless of the (lack of) impact I might have on the results. We had a good turnout for both teams, with more men arriving as race time approached. The weather was cold but with no rain; there was a chill in the wind, but that seemed to die off while we were waiting to get going; a big blessing. With a fair amount of rain, sleet and snow over the previous weeks and several hundred pairs of feet covering the course before us, it was distinctly “soft & sticky” underfoot. Or a bogfest as our Chairman so elegantly put it on Strava. The course was also being run in the reverse direction to 2017. One of the marshals thought this would make it easier. I still don’t believe him. The reversed course put a short, sharp grassy uphill after the first couple of hundred metres. Don’t they always look worse from the bottom than the top? The route was both a blessing and a curse – it was great to have the Club tents right at the top of this climb, with loads of encouragement, but that meant I ended up pushing into the red for each of the three laps. I promised myself I wasn’t going to do it, I wasn’t going to fall into that newbie trap that Mike Barlow and I were talking about beforehand…but I still set off too fast. 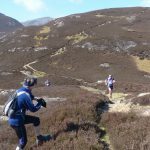 I’m sure I wasn’t the only one who did, but by about half a mile into the first lap I was feeling dreadful – my legs were like lead and I didn’t feel like I could push on at all on the flats and downhills like I’d intended. Sweeping down to the southern part of the course we hit the first of the real mud and I’ve never run through anything like it before. It sucked all the power out of my legs and this proved harder to me than any of the hills. I realised then that I was going to have to adapt my tactics if I was going to avoid a DNF. I decided that I would do something I hate doing on any run and that’s walk. I allowed myself, provided I contained it to the worst sections and still kept moving as fast as I could. I quickly noticed that anyone who was passing me (other than the fast pack) wasn’t really going much quicker anyway and by keeping my heart-rate in check I could pick the pace back up again when the gradient eased and I would pull away from them again. The first lap (is that only the first one?) felt like purgatory. Somewhere around the middle of the second lap, either my changed tactics started to pay off or the endorphins finally kicked in; I started to feel better and could push-on harder outside of the uphills. I settled into the ebb and flow, frequently swapping places with a couple of runners from Blackhill and Blyth plus our own Philip Connor. 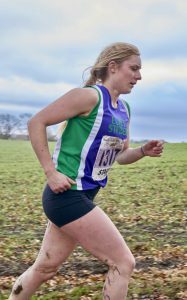 As we headed into the last half mile, I could see Andrew Davies about 12 places ahead of me across the field – too far to make up by that point – but was second in our cluster of four behind the Blyth runner. 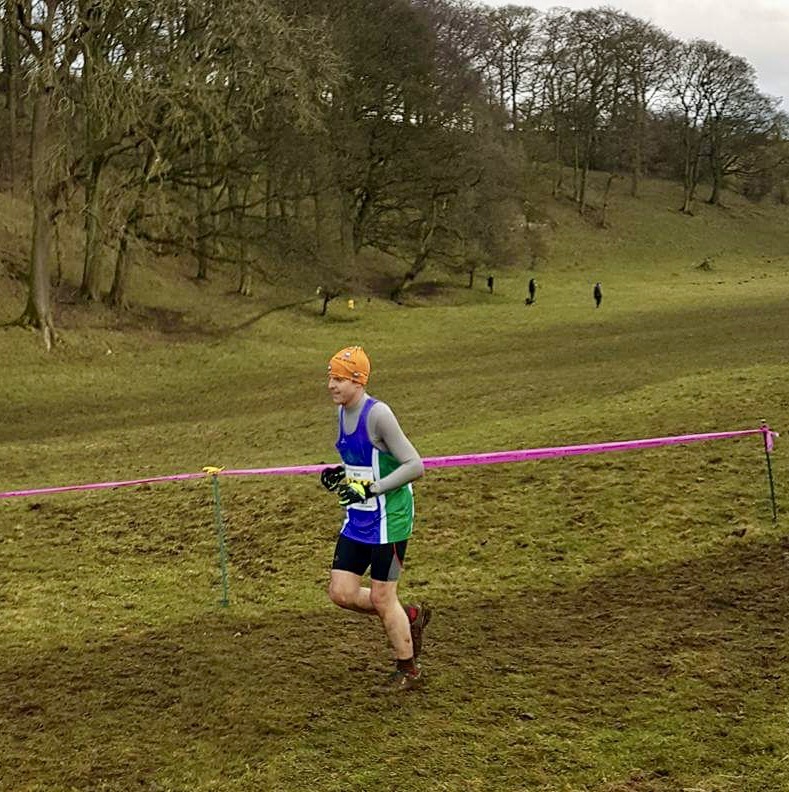 I’d sussed on the previous laps that the mud on the final descent was sticky enough to hold my feet so I could pick up speed down into the finish funnel and this allowed me to get away from the other three. I dug into the last of my reserves and made sure I wasn’t going to be caught on the run-in. 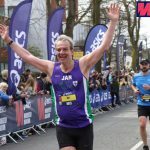 From the noise, there was a great crowd of purple & green support at the finish and that gave me the boost I needed to wring out the final effort. I don’t remember seeing anyone, I was so focused on reaching the line. I also didn’t see what happened to Philip but he broke clear of the other two to come in a few seconds behind me. Anna and Roz were waiting when I came through the tapes. It was brilliant to see friendly faces to welcome me back. When I felt up to it we strolled back to the tent to find some very welcome goodies (thank you to those who brought, I’ll know for next time). In the end, we had 22 men running and I led in the (incomplete) D team as “first” counter, placing 336 out of 414 overall and bang in line with where I expected to be. The women’s team had a fantastic day. Fiona Brannan was 3rd and the team placed first – brilliant results all round. It was great to be part of the team and be really made to feel welcome. I just hope that one day I can repay the Club with a result which contributes to our placing in some way! Will I do it again? Absolutely. Why? Because no matter where you finish, you’re supporting and representing your Club. 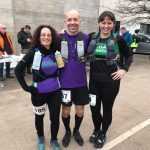 Even if you don’t count towards the placed team, you can displace runners from other clubs and increase their score; by my reckoning, that’s what 5 of our women’s B &C team and 3 of our men’s B team finishers did. It’s also great for developing your running strength, both physical and psychological. It’s a fair trade for the mud!